When I visit my family, nothing tops the welcome I receive from our beloved German Shepherd. When I walk through the door, Jack greets me warmly and vigorously. He pushes past my mom and brother, rushing up as to say “about time you came back.” And not far behind is Turbo, our family cat for the last 15 years. I will spend the duration of my time back home with those two glued to me. A study last year found a dog’s heart will actually beat in sync with its owner. According to WebMD, those with pets often have lower blood pressure, stronger immune systems, and even a more vibrant dating life. Our pets being safe at home is one thing, but what about when traveling? How do we keep them safe? What if we are in an accident with our pets? Is there anything we can do? In 2004, Lindsey Wolko learned not all pet safety products deliver on their promises. After rescuing her dog Maggie from an abusive situation, Wolko found it challenging to travel with her. Thinking it was the right thing, she picked up a seat harness for Maggie at a pet store. 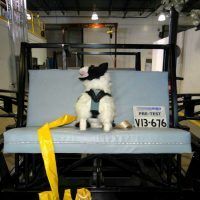 A few months later with Maggie strapped in, Wolko had to hit the brakes to avoid an accident on Interstate 66 in Virginia. The sudden braking caused the harness tether to wrap around Maggie’s back legs. Worse yet, she was launched forward, striking the back of the front seat. The harness effectively failed to restrain her. In time, Maggie recovered but the experience inspired Wolko to launch the Center for Pet Safety, a research and advocacy organization dedicated to the science of pet safety. As the organization grew, she found most pet products didn’t meet any sort of performance criteria. 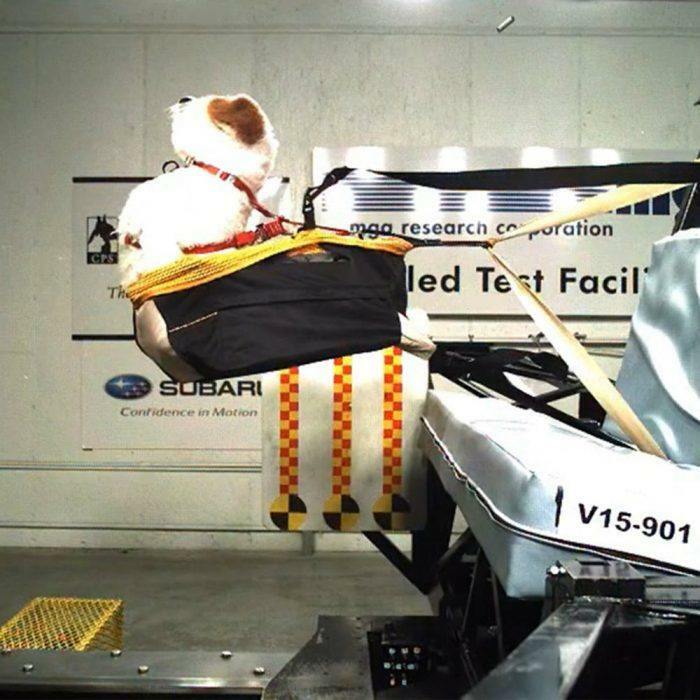 Lindsey Wolko (right) with MGA Research Corporation during crash testing of a pet safety harness. Photo: Center for Pet Safety. 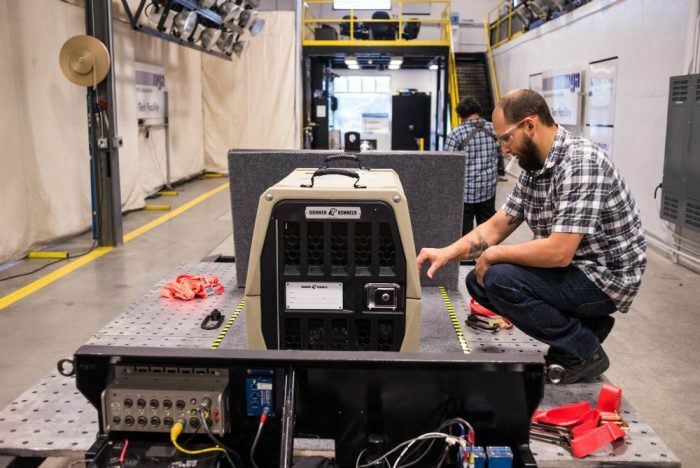 In 2011, the Center for Pet Safety began crash testing pet safety products, with additional tests in 2013 and 2015. 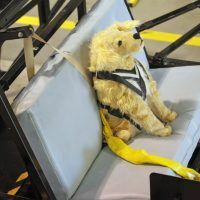 A certification program was determined for harnesses, crates, and carriers; a pet seat pilot study followed in 2015. 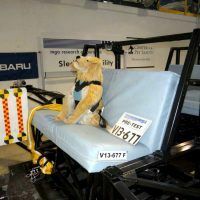 The certification and crash testing programs, carried out by MGA Research Corporation, are voluntary for pet safety product manufacturers. A rating is assigned accordingly and passing products are given a special seal for packaging. 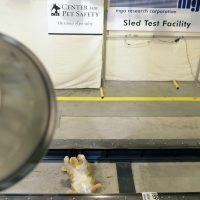 The Center for Pet Safety published the results of their controlled testing, complete with videos and an analysis of the data. The 2013 Harness Study Testing concluded the Sleepypod Clickit Utility was consistent with its claims. 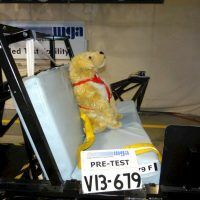 The Sleepypod Clickit Utility kept the test dog restrained and on the seat during every controlled launch. Other products didn’t fare so well. 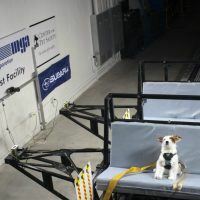 One video shows a test dog being launched off the seat, then rapidly snapped back by the harness. The slow motion video shows the test dog striking the back of its head on the seat. Another harness fails so badly during the controlled launch, the test dog actually disappears from the camera frame it’s propelled so far. One harness even breaks apart entirely. 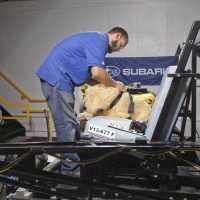 The Center for Pet Safety and MGA Research Corporation perform crash testing on a pet travel seat. Notice near the upper right hand corner of this photograph. A piece of the harness has snapped off and is flying through the air. Notice the rip in the black strap, just behind the test dog’s head. Photo: Center for Pet Safety. Addison Edmonds got his dog Gunner when he was still in college. Although he looked forward to their hunting expeditions together, Edmonds was always bothered when traveling with his best friend. The final straw for Edmonds was when the crate actually rolled over in his truck with Gunner inside. Edmonds sold the advertising company he was running and moved back home to Nashville, Tennessee. He put everything into Gunner Kennels, a company today that produces kennels and accessories for pet safety. Edmonds will hear testimonials from customers about how a Gunner product saved their dog’s life, but getting there wasn’t easy. 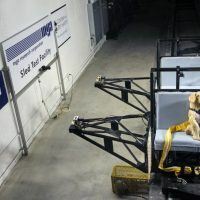 Gunner Kennels during crash testing with the Center for Pet Safety and MGA Research Corporation. Photo: Center for Pet Safety. 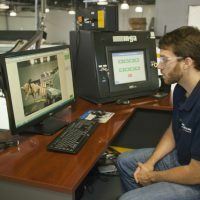 Edmonds eventually found the Center for Pet Safety and met with Wolko and MGA Research Corporation in Virginia. 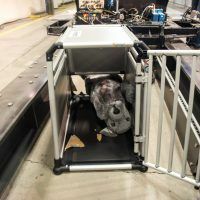 The initial tests showed the original design was prone to failure: the door opened up on impact and the tie down ends, used for strapping the kennel, bent out of place. “To my surprise, the design was not perfect so I had to go back to the drawing board and get a couple of engineers involved,” Edmonds said. The second round of testing was a bit more successful, with the tie down points holding. The door, however, still proved problematic, despite a new frame design. 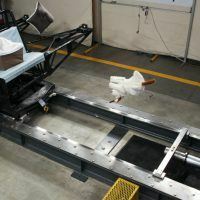 The crash tests repeatedly showed the dummy dog flying toward the kennel door and striking it, which is where the failure was happening. This was, to an already dismayed Edmonds, unacceptable. After reassurance from friends and family, Edmonds was determined to get his kennel perfect. More engineering work ensued, with new safety latches being designed and the hinges reinforced. Stainless steel replaced aluminum and each rivet given special attention. The modifications worked and the final tests confirmed as much, with the door holding in place. 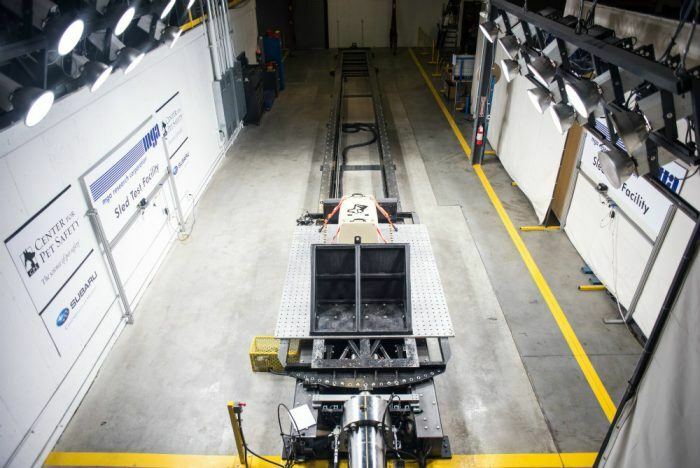 Edmonds even had MGA Research Corporation perform crush testing on a machine with a 4,000 lbs. threshold. “We actually broke their machine,” Edmonds said. Today, the Gunner Kennels’ G1 Intermediate is the only travel crate with a 5 Star Crash Test Rating from the Center For Pet Safety. Gunner branded kennels house mainly sporting dogs, but lately the company is getting requests for smaller kennels. Even military branches and law enforcement entities have reached out to Edmonds. 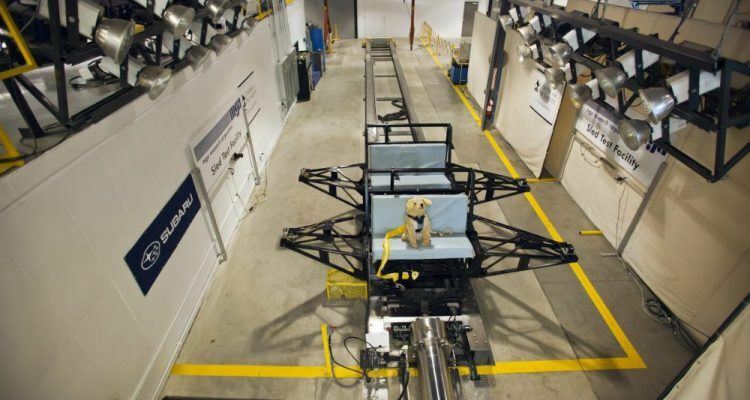 Gunner Kennels during rigorous crash testing. Photo: Center for Pet Safety. Lauren Witt is an automotive product specialist based in metro Detroit. She represents automakers at a variety of events and shows across the country. Heavy travel is common for Witt who also has two dogs; Capone, a six-and-a-half-year-old Pug and Karma, a two-and-a-half-year-old Labrador mix. She advises pet owners determine the most comfortable option for their companions, be it a harness, crate, or special seat. “Every pet is different in the car so you need to find out which method works best for them,” Witt said. Little things, like bringing along a favorite blanket to place inside a crate, will help pets adjust to traveling. Patience is also key, according to Witt. “Pets are sensitive to your emotions and the last thing they need is something else to stress them out on their trip,” she said. The Center for Pet Safety offers general tips for those traveling with pets. Making sure vaccinations are current, packing a first aid kit, and bringing extra food and water are among the top recommendations. 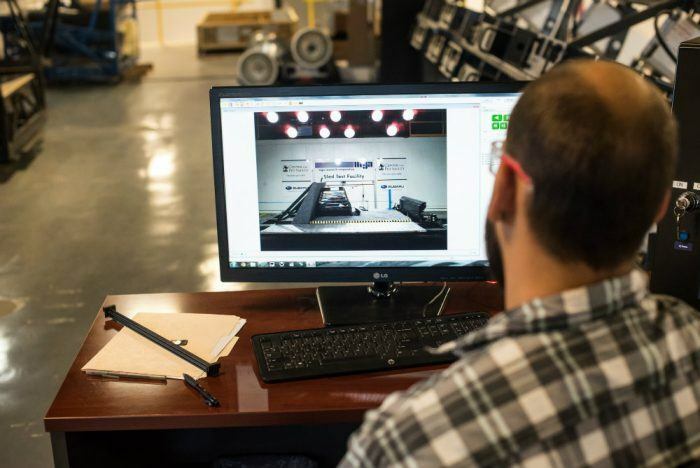 When selecting a harness, consumers should find one that does not have a tether or zipline-style feature to prevent distractions. Limiting distractions is another point both animal and automotive experts agree on. Wolko recommends using a new pet safety device on a series of shorter trips first, then gradually increasing the duration of the car ride. This will allow time for pets to adjust to the new safety device, be it a harness, crate, or seat. Other points of advice include using a happy, reassuring voice and to always place pets in the back seat. Photo: Center for Pet Safety. Related: Pet owners worry about safety but can automakers respond? Digesting this information might be a bit much for pet owners, especially ones worried about safety. Based on the testing conducted by the Center for Pet Safety, buying the average harness or crate doesn’t guarantee protection for pets in the event of an accident. 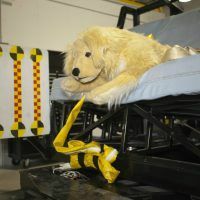 Wolko hopes the work she is doing will garner more public awareness and encourage pet safety product manufacturers to further examine and ultimately test their designs. “That’s one of the reasons the research and knowledge sharing is so important,” she said. The pet safety products on the market today are sold with little to no oversight, so it’s vital consumers do their research. 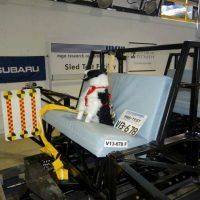 The Center for Pet Safety notes that just because a certain product says it is crash tested does not mean it actually passed crash testing. 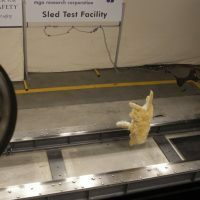 The organization cautions consumers, saying a pet safety product cannot pass even the best crash test if it is measured against something developed for humans. It’s important consumers understand, according to the Center for Pet Safety, that many pet safety product manufacturers do not publish their test evidence. Above all, pet owners are advised to maintain a keen eye when choosing a particular product. “I read a quote once and I don’t know who said it: ‘whoever said diamonds are a girl’s best friend, never owned a dog’ and I couldn’t agree more,” Witt added. Photos: Center for Pet Safety. 1 Comment on "Automoblog In-Depth: The Science of Pet Safety"
I just learned something. I know Sleepypod worked directly with the Center for Pet Safety for their ClickIt harnesses and so the Center for Pet Safety says they’re the best. And now you’re telling me it’s the same with the Gunner kennels? Interesting. So the only way to get deemed the best by the Center for Pet Safety is if you work directly with them to design your product? How is that unbiased? I know for a fact that the Variocage is just as good as the Gunner. It was tested in Europe for not just frontal crashes but rear, side, and rollover as well (something the Center for Pet Safety didn’t do). And the Variocage has a built in crumple zone that works in tandem with the built in crumple zone of the car, something none of the other kennels have. And yet the Center for Pet Safety won’t even entertain the idea that the Variocage is a good product. Hmmm. There’s something fishy here.